Dan joins the party for Top O’ The Pile and we talk about Claremont/Byrne X-Men, Secret Wars and Chrononauts by Mark Millar and Sean Murphy – both of whom paid a visit to the granite state recently. Ben recaps the Millar/Murphy signing at Jetpack Comics, which kicks off a discussion about the writers we’ll follow anywhere. As usual, we wrap things up with a Can O’ Beans. Find out what the boys read (or failed to read) last week and what they pledge to read (or not read) for next time. Find out what writers get sight-unseen treatment. 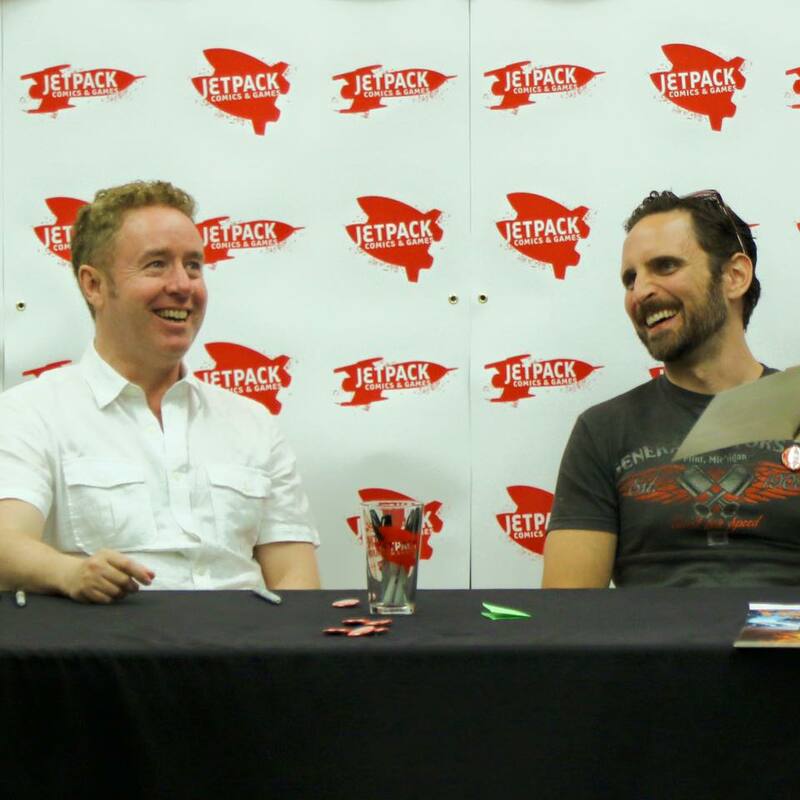 Hear Josh speculate on the fate of the iron throne and find out what to wear when you meet Mark Millar. It’s a hair-raising hundred minutes of geek talk, that’s worth writing home about.